You can configure FTP Setting for your web hosting server accounts. File transfer protocol it is used to transfer files between computers on a network. This can be used to exchange files between computer accounts, transfer files between an account and a desktop computer, or access online software archives. 2. You can enter the FTP Config File in this to path the configuration file if applicable. 3. In FTP Databases you should enter the ftp server database. 4. In FTP PHP you have to enter the PHP name to include when adding FTP data. 6. In FTP Service Root the path of service executable if applicable. 7. Click on Save Changes to save all the changes. Linux Cloud Hosting Server from HostingRaja at an affordable price and it has 6 different plans from which you can choose the best one for your website. It has many good feature and 99.99% uptime guarantee. 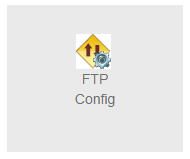 Using FTP Config you can configure your FTP account with simple steps. And when you buy a Cloud hosting solution from HostingRaja you will be provided with a free SSL certificate for your website. So using a SSL certificate you can easily secure your website from a security breach and you can also more trust from your customers. Here at HostingRaja we also provide best in class website builder tool where with the help of that you can easily build your own website as per your requirement. With our website builder, you get simple front-end drag and drop processes.